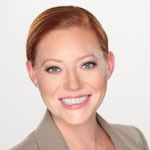 Jessica Baines is a third-generation real estate broker originally from Columbus, Ohio, and has been a licensed real estate broker in Florida since 2007. Serving the needs of primarily international real estate investors, as a buyer’s and renter’s advocate, she can help families with evaluate the local market conditions whilst be mindful of budget and long-term investment plans. Married to an immigrant, and having lived abroad herself with her husband, she understands the unique challenges that come with purchasing property outside of one’s home country. For over a decade, Jess was assisted investors in the international real estate market, traveling regularly throughout the US, Ireland, United Kingdom, Canada, the Middle East and India. She also was also a licensed real estate agent when she and her husband resided in Scottsdale, Arizona and also currently holds her Ohio Real Estate Broker’s License. US Immigration. Jess is also president of American Business Group Business Brokers in Florida, USA, offering business brokerage and business visa/immigration services and business start-up consultation since 2006. Serving families abroad wishing to invest in the American economy, Jess focuses on assisting families with their purchases of small businesses who are seeing approval of E-2, L-1 and EB-5 visas to the US. She has worked with families from the UK, Canada, Middle East, Europe and those with duel citizenships from all over the world. Recently returning to the US from residing in Dubai, UAE, Jessica also offers consultation services to law firms and other businesses in the UAE.